In Dublin’s Fair City, Where Girls Are So Pretty… | Where is Yvette? Ok I agree- Ireland? Where did that come from?! Answer: after Croatia, I was geographically a bit stuck because I had already seen Italy and had no serious interests in heading towards Montenegro/Albania (I’m sure they’re nice, but it’s not season yet and meeting people is quite important as a solo traveler). So while checking out the budget airlines of Europe there was a cheap flight to Dublin, and I thought about how much I’ve always wanted to go to Ireland. So there we go. Dublin itself I had no serious interest in just because everyone says to get out of it as soon as possible because it’s not the “real” Ireland (I agree with it not being the real Ireland, but as a city I liked it). But I arrived Sunday night, it was a bank holiday Monday, and I needed to get more passport pages at the American embassy on Tuesday, so I had time to poke around. 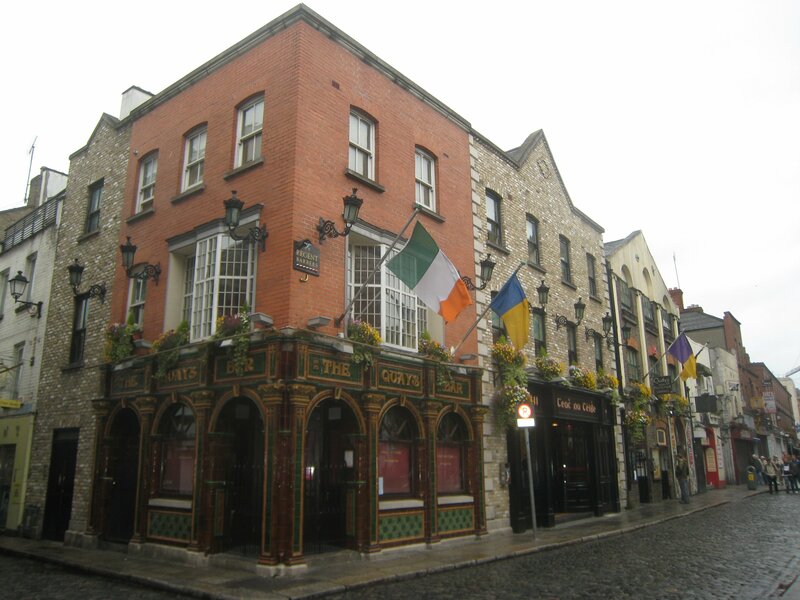 The Temple Bar area of Dublin, where it is important to note that the bar itself is named after the area and not the other way around. Except only the tourists go out to the pubs in this area, meaning I never did. 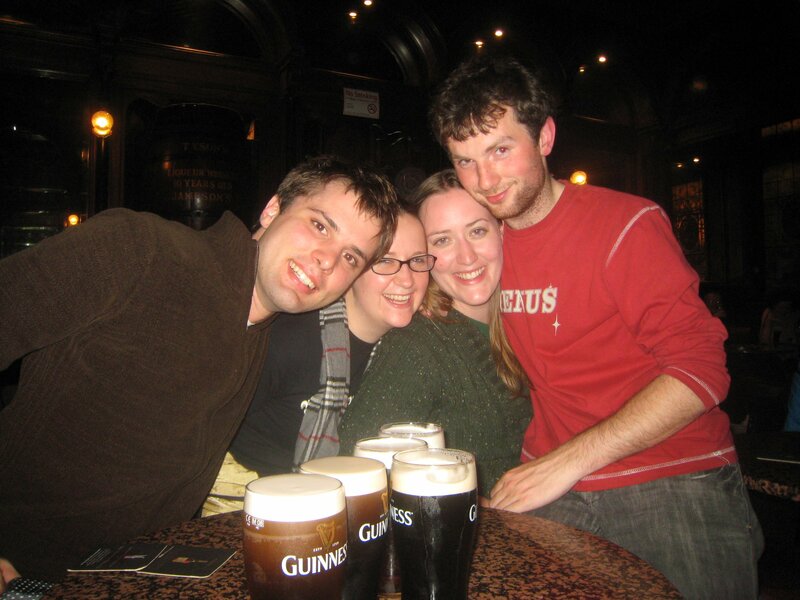 As a total aside though, you know what my favorite thing about Dublin was? They speak English here! I have not been to a country where English was the main language since I have been traveling, and there is still something illicit to me about going into a random shop and expecting the people there to know what I’m saying. Perhaps because of this reason Dublin struck me as the most American place I’ve been since I left home- the plentiful chain stores I haven’t seen since January probably didn’t hurt in this observation. 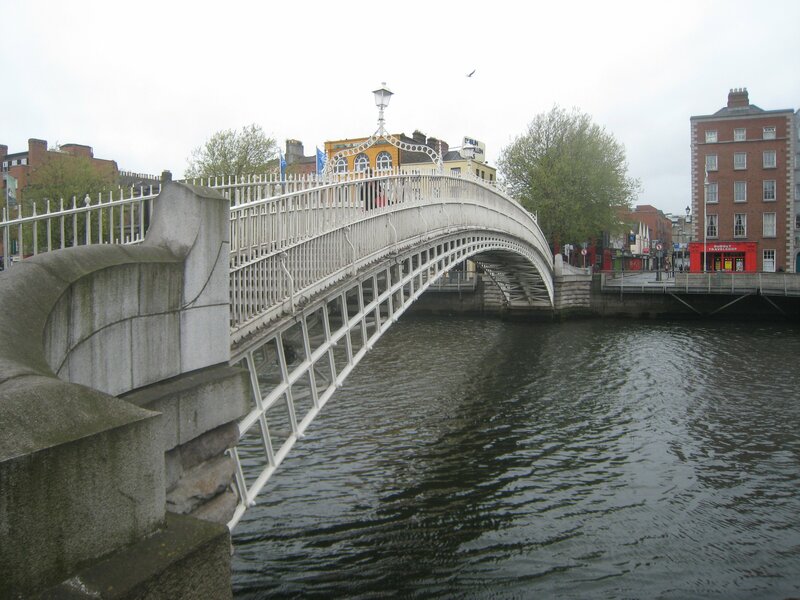 The Ha’Penny bridge over the river Liffey, so called because it cost a half penny to cross over the bridge when it was initially constructed. I thought it was a lovely thing myself. View of Dublin Castle on the free city tour I took of Dublin, where I got into a tiff with the tour guide, Conor, about it not looking particularly castle-like (apparently it burned down 200 years ago and this is how it got rebuilt). This is where the British ruled Ireland from for hundreds of years, and needless to say the British are not winning any popularity contests in this part of the world. Because this is Ireland, after the tour a few of us went with the tour guide, where Conor and I settled our differences when it turned out he just finished university in mathematics so we got into conversations about number theory and operating platforms. Turns out the guy doesn’t get many physics girls in his tours, who would have guessed? The pub was known as The White Stag and had this stag’s head on the wall which looked, well, a bit frightening. 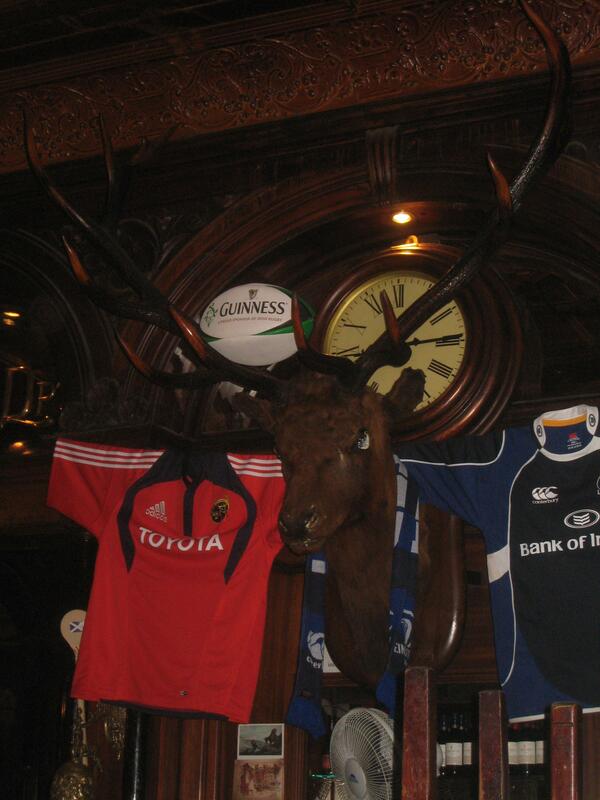 I mean I guess I would be pissed too if my head was stuck on a wall in a Dublin pub with my antlers balancing a rugby ball, but still. Ahoy- a Viking ship! 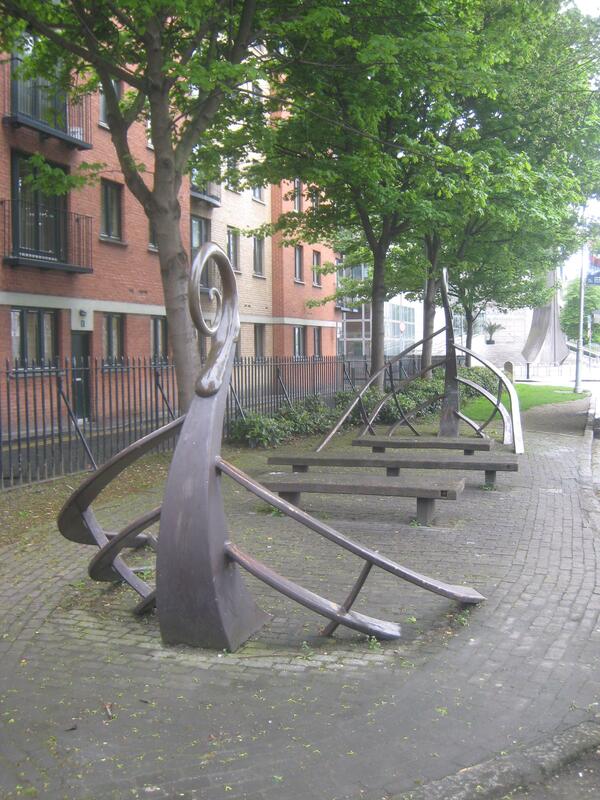 It turns out this is here because a few years ago the Dublin city council was excavating an area where they wanted to build their new administrative center, and came across what was the best-preserved Viking settlement in the world. (Most people don’t know this, but the Vikings founded Dublin once they took a break from pillaging and realized this island they were ravaging actually looked quite nice.) 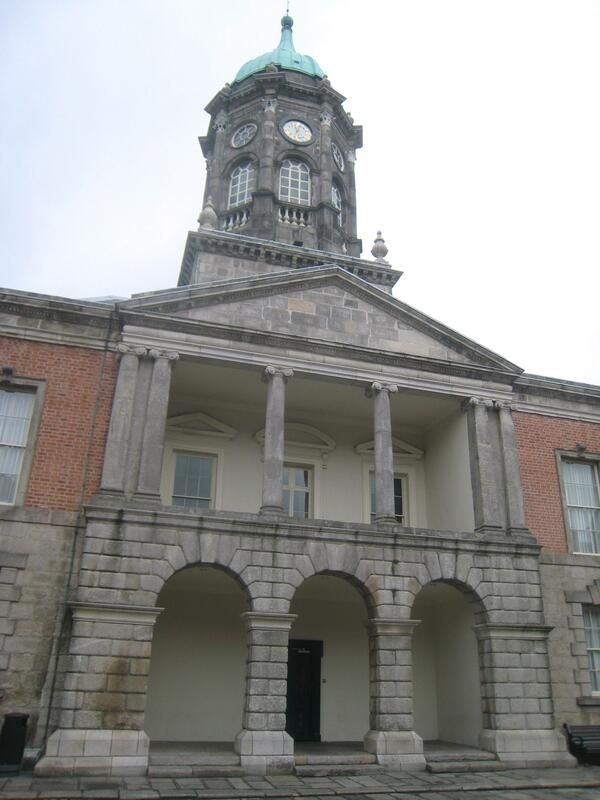 Experts from all over the world flooded to Dublin to get a look at it and call for its preservation, but the Dublin city council just remarked “well, that’s nice!”… and poured concrete over it. In the subsequent outcry they decided maybe that wasn’t the brightest of moves, but it was too little too late really. 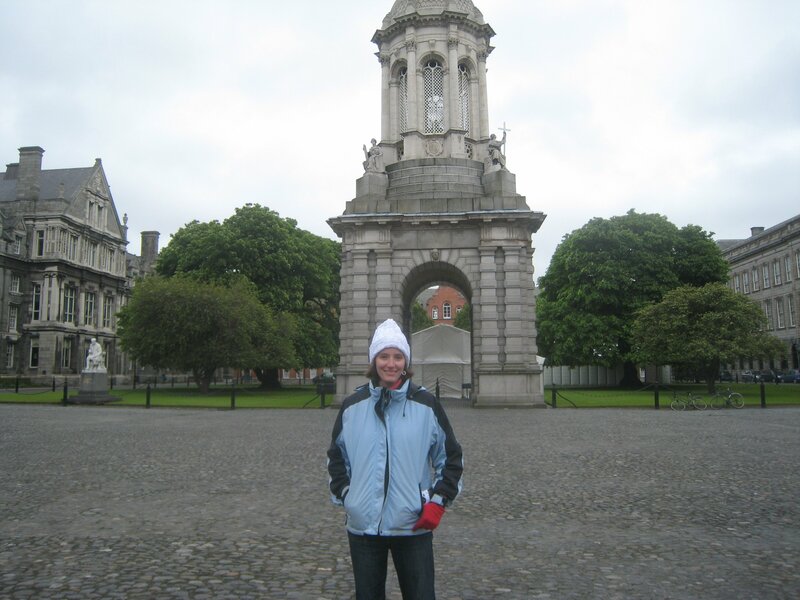 Me at Trinity College showing just how cold and windy Dublin can get even in May. I have to say though, the oddest thing about the place for me compared to universities back home is how you’re not allowed to walk on the grass- the Frisbee players in the rest of the Western world would never stand for it. Though if you are an honors student you are allowed to graze your sheep on the grass, and I’m told some enterprising lad will hold the university to its word every year. So that is my brief foray into Dublin- I did spend a boring morning at the American Embassy as well, but they wouldn’t have been keen on picture-taking there and it wasn’t so exciting anyway. So with that, on to the more exciting locales in Ireland!